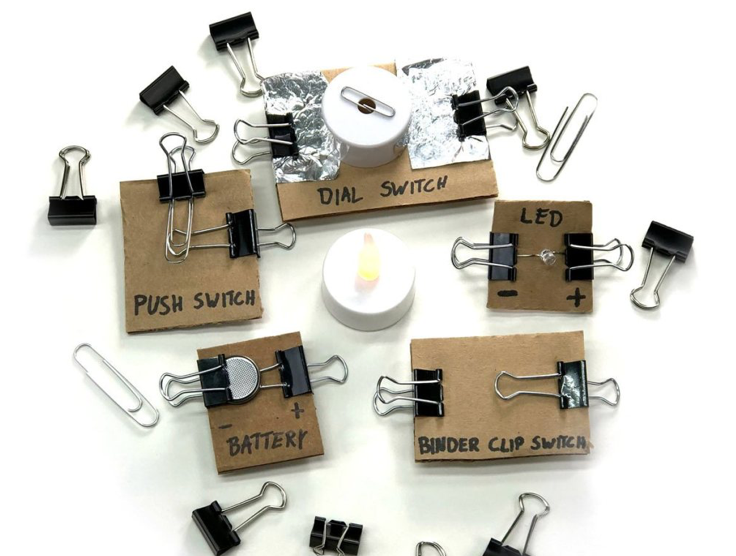 Scrappy Circuits #Education #MakerEducation « Adafruit Industries – Makers, hackers, artists, designers and engineers! The best dollar you can spend on a child’s STEAM education is to take them to the dollar store, buy an electronic item, and then take it apart. Learning how a handheld fan, LED light, remote control, or headphones work will help show how wind turbines, traffic lights, speakers, keyboards, and other modern devices function. The next step is to take apart a dollar store item and make it better — combine two items, replace a switch, create something new and unique. Scrappy Circuits is the perfect way to get started.